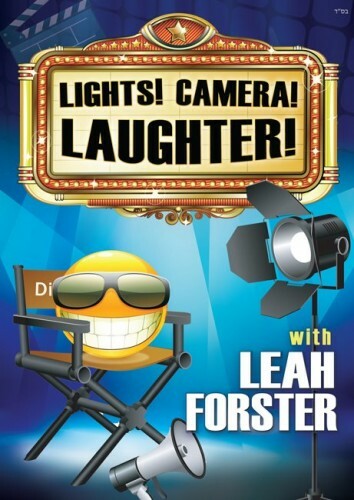 Leah Forster Releases All New DVD: Lights! Camera! Laughter! Leah Forster’s Back! An All- New Variety Show Featuring Live Comedy and Hilarious Sketches. Leah’s knack for taking ordinary scenarios , and spinning them into hilarious scenes is classic Forster Comedy. Sit, back, relax, and enjoy ,as she shares some classics, and of course, plenty of new hysterical material ! This DVD is jam packed with over an hour of pure entertainment that is sure to leave you craving more laughs. Pull up a chair, pop in the DVD, and bring it on- LIGHTS! CAMERA! LAUGHTER! Running time 1 hr 15 min For lucky women and girls only. In stores now and on MostlyMusic.com.